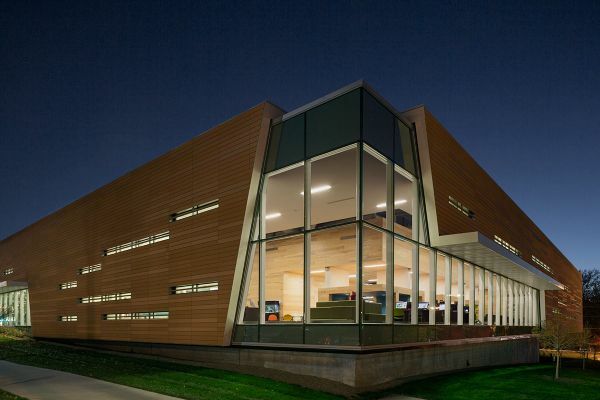 The Lawrence Public Library originally built by B.A. 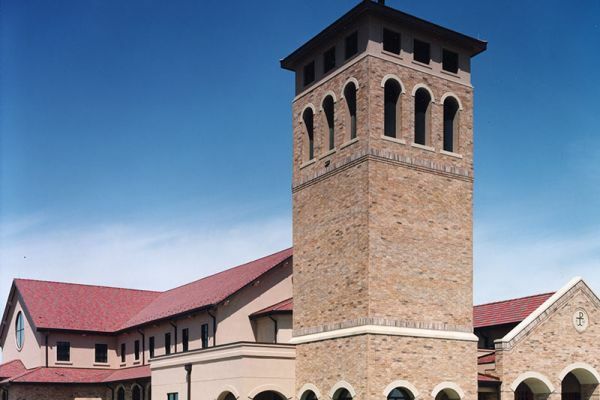 Green in 1972 was in need of a renovation and energy efficiency improvements. 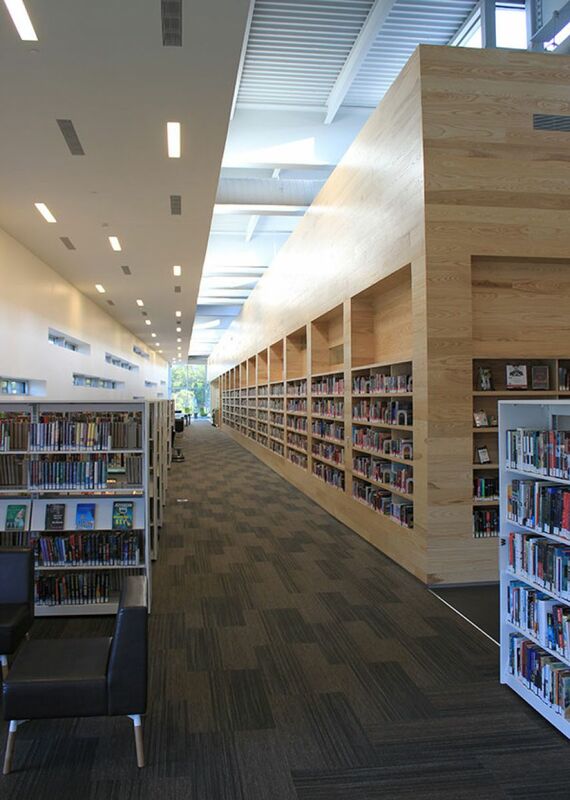 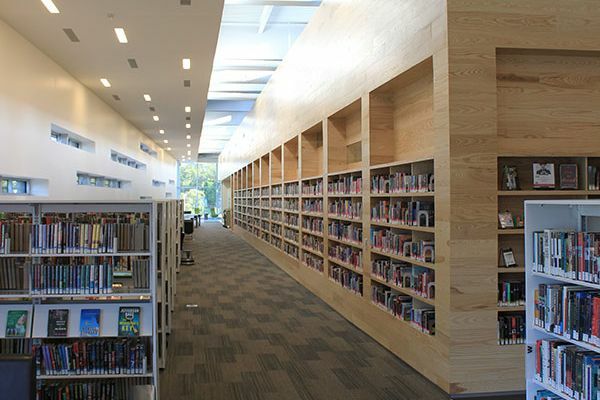 After the community passed a bond issue to upgrade the Library, B.A. 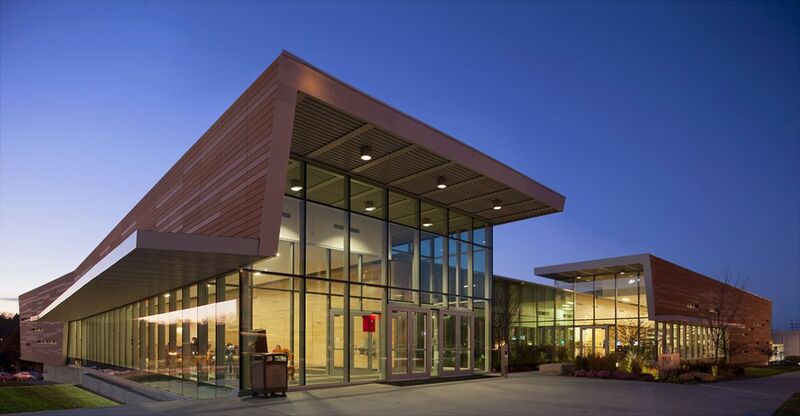 Green was selected by the City to perform the work as Construction Manager. 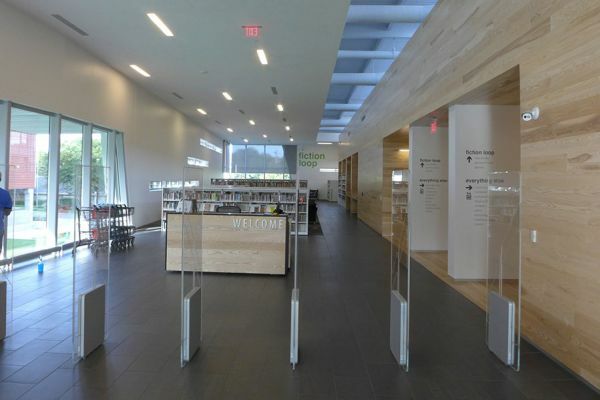 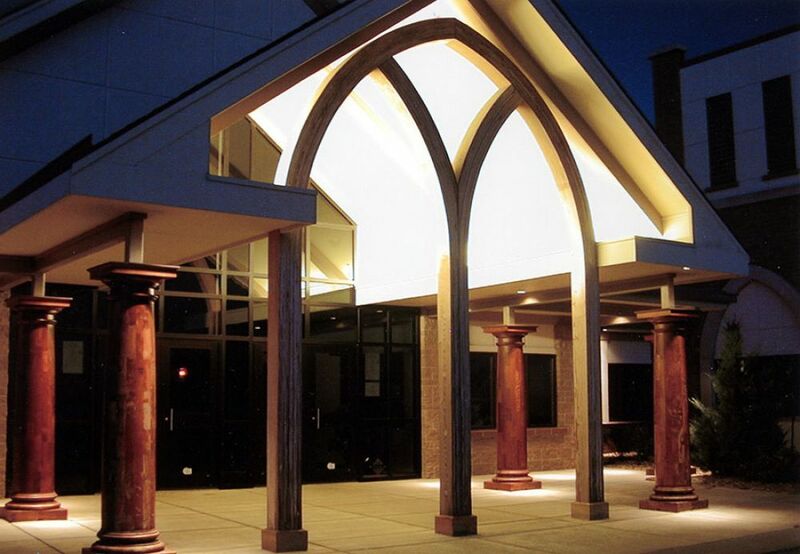 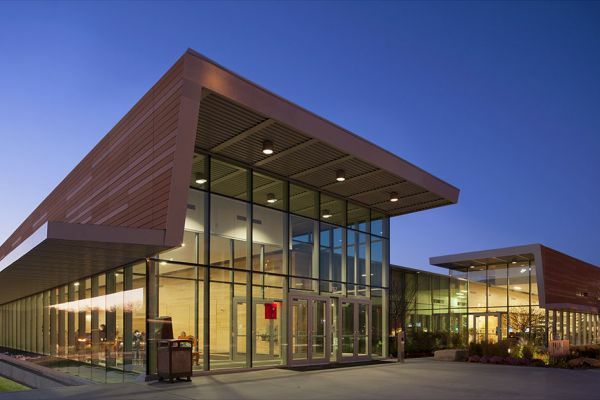 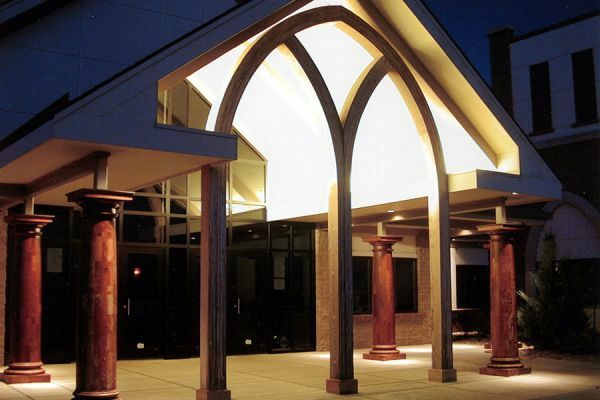 The project included a 20,000 square feet addition wrapping the existing 40,000 square foot concrete structure and renovation of the existing building. 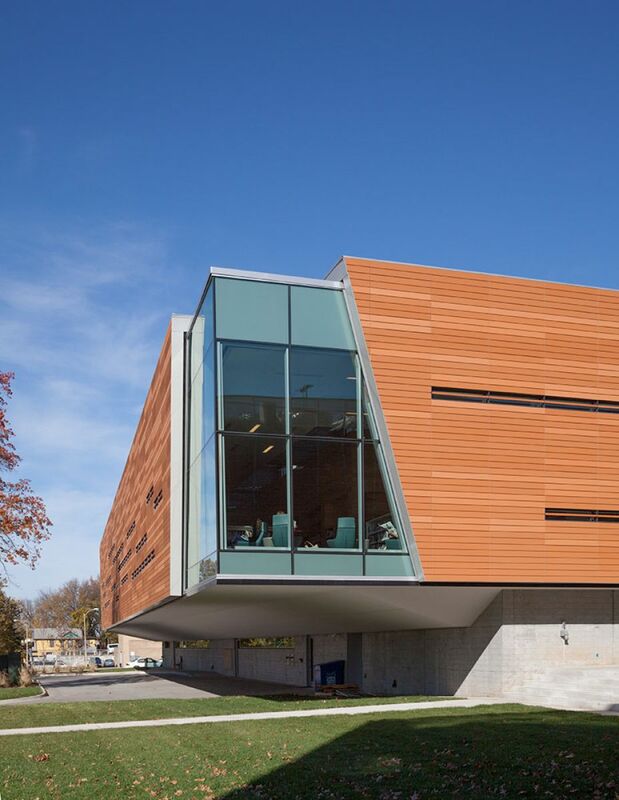 Unique features include a cantilevered west addition and terracotta rain screen exterior wall system. 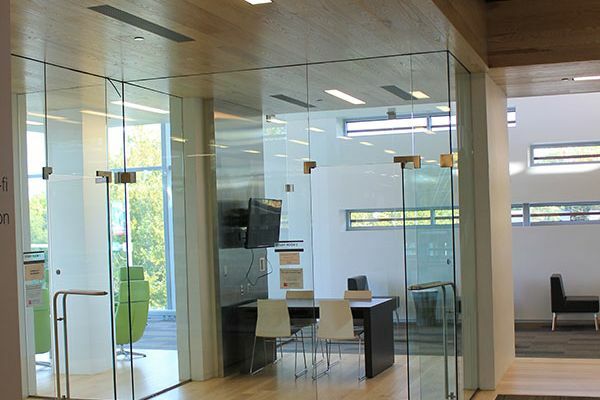 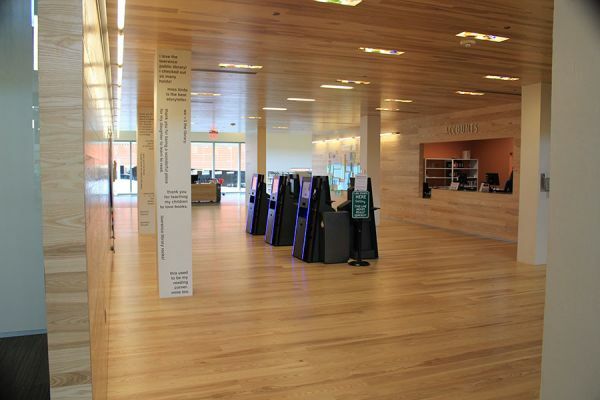 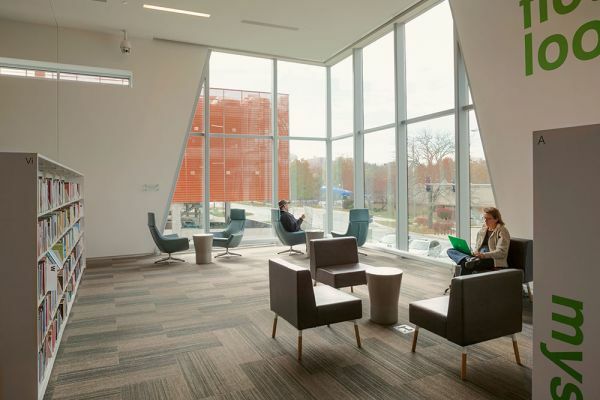 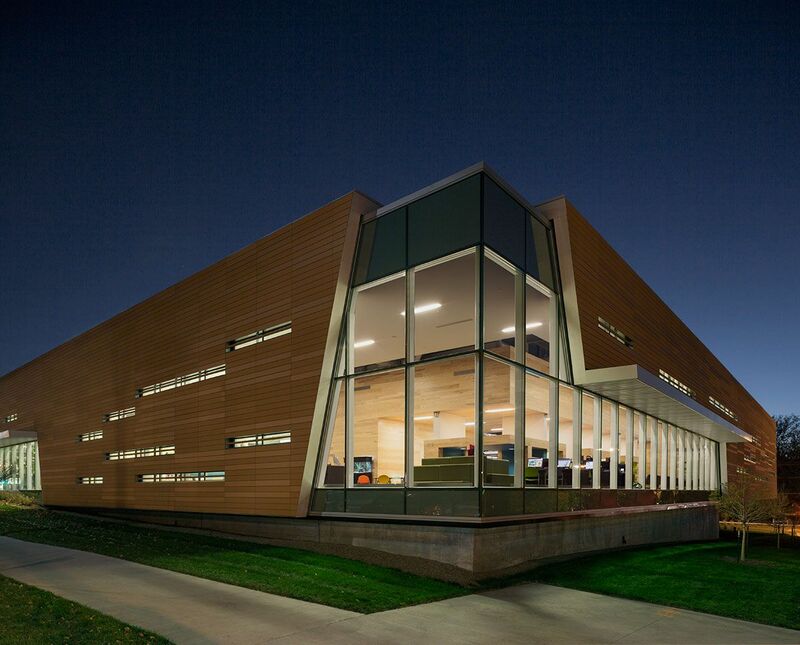 The project was Certified LEED Gold by the US Green Building Council. 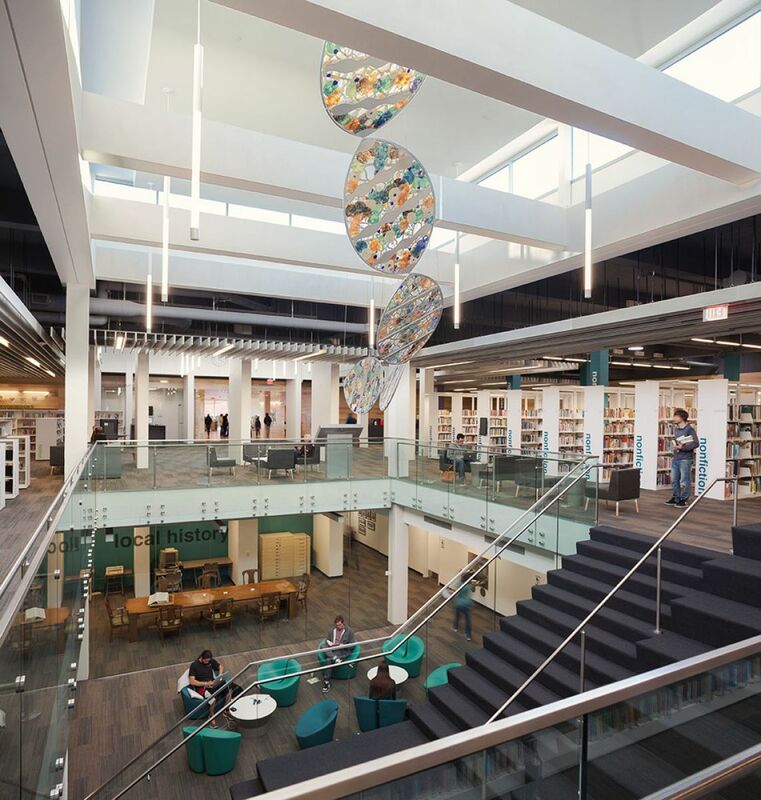 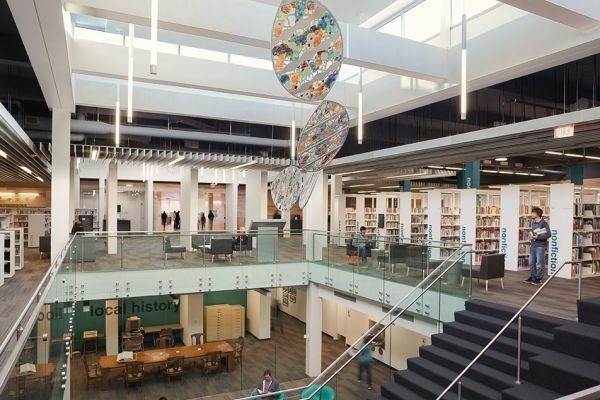 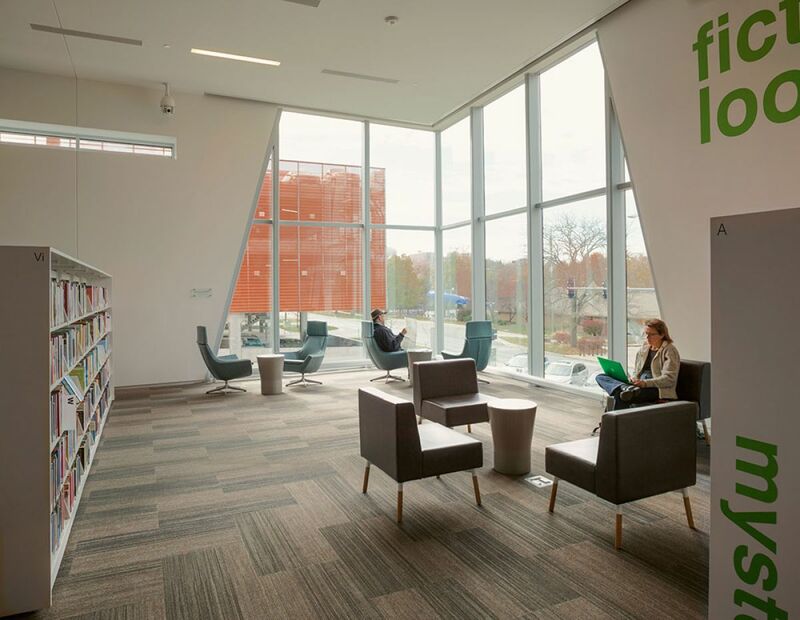 As a separate component to the Lawrence Public Library Renovation and Expansion project, The City of Lawrence had a critical need for additional parking in the downtown core. 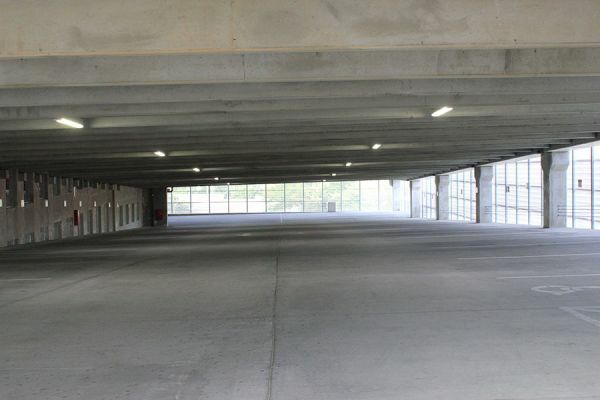 Work began on the new facility to enable the City to take advantage of the additional parking before the library project was ultimately completed. 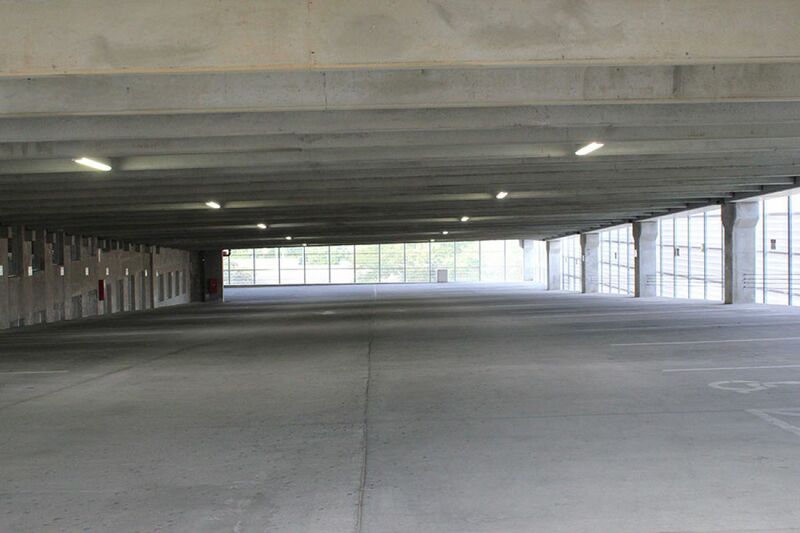 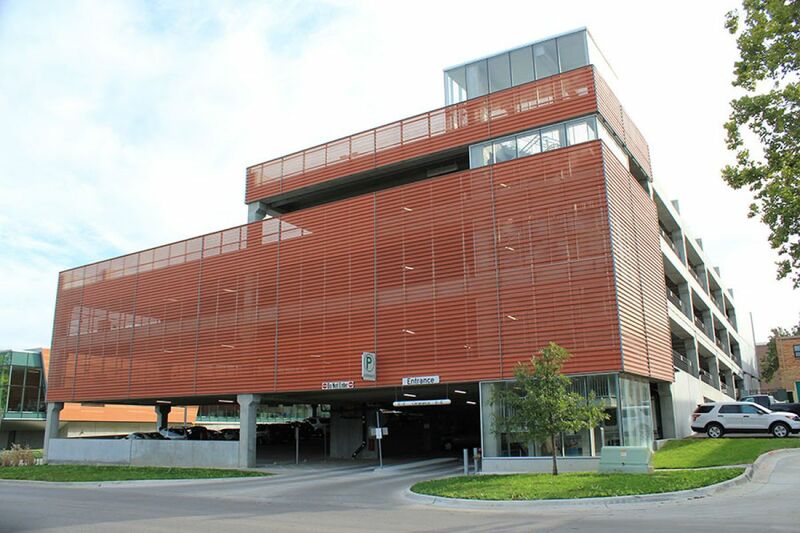 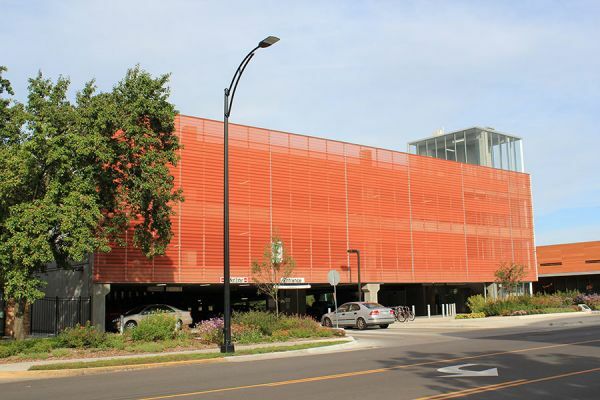 The result is a 275 space, four level pre-cast concrete parking garage with specific design elements to tie it to the adjacent library design. 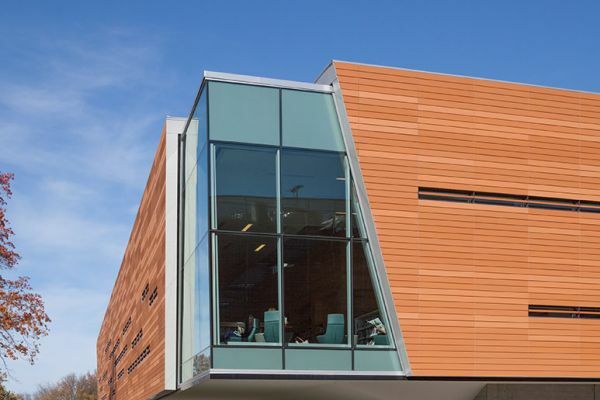 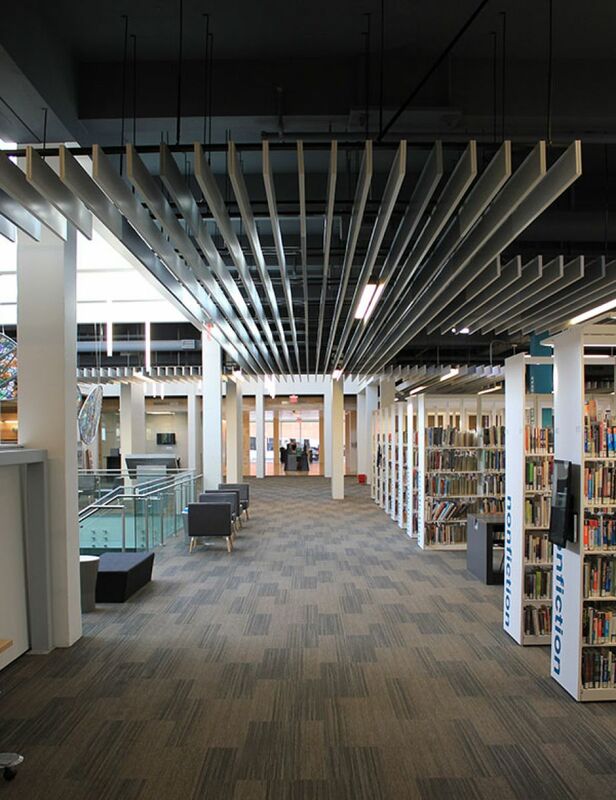 Perforated metal skin is featured to enclose the upper levels and simulate the new clay tile rain screen exterior on the library coordinating the entire project into one homogenous development. 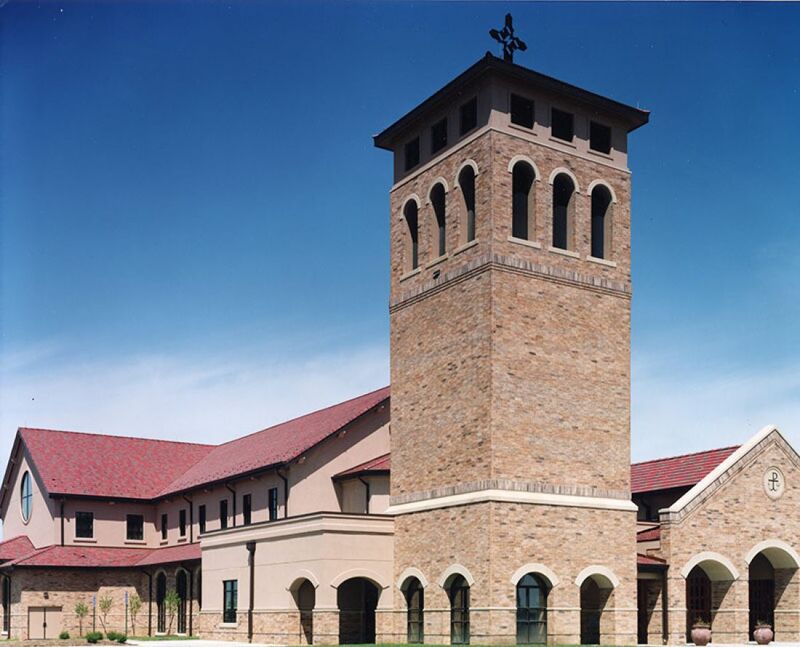 This 64,000 Square foot project was completed in 2000 at a cost of $ 8,200,000. 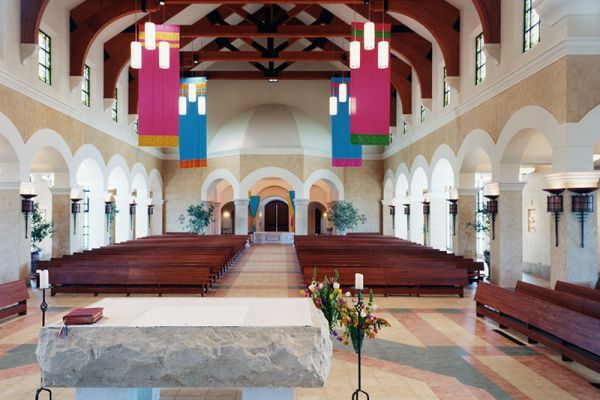 The project consisted of a new Sanctuary, gathering area, school classrooms, full kitchen and social hall. 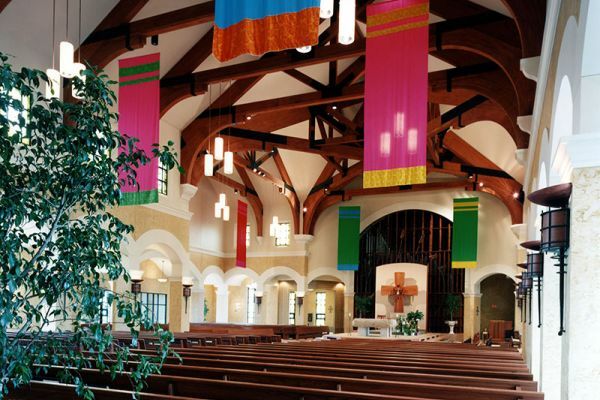 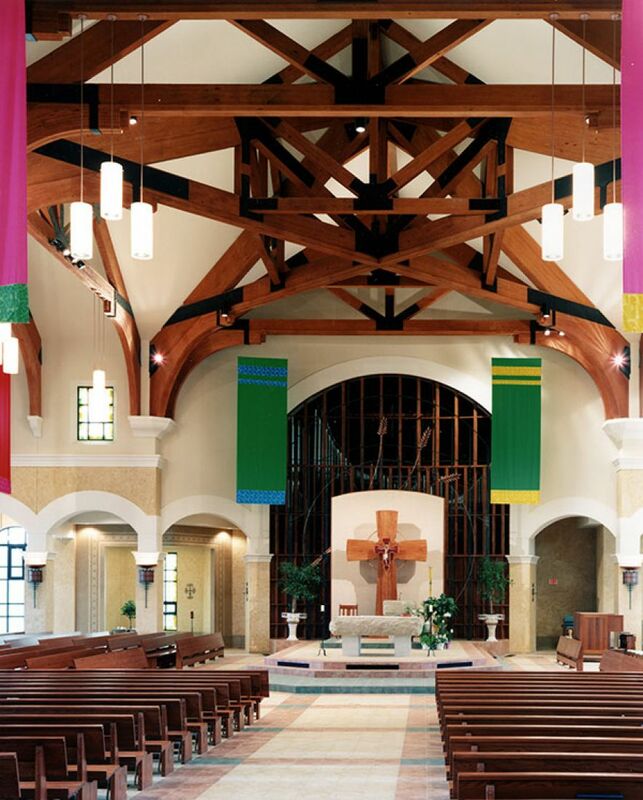 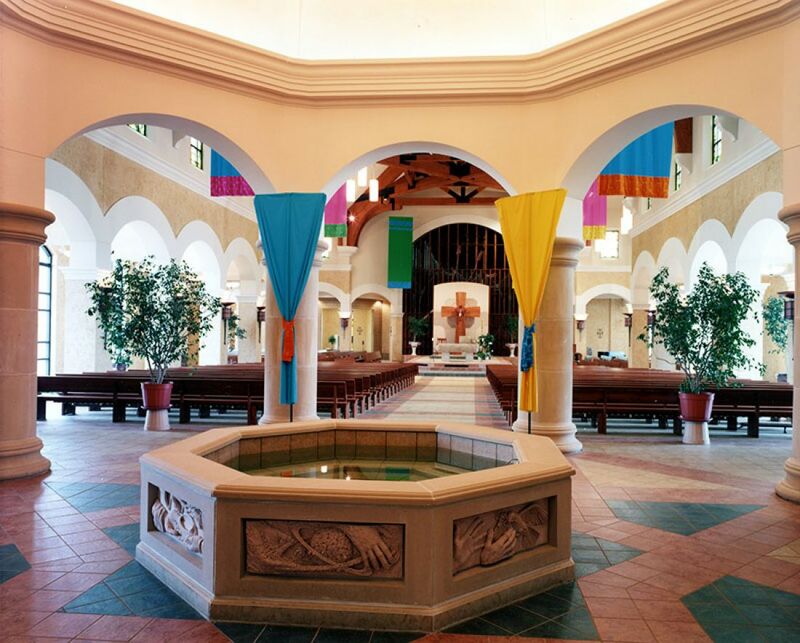 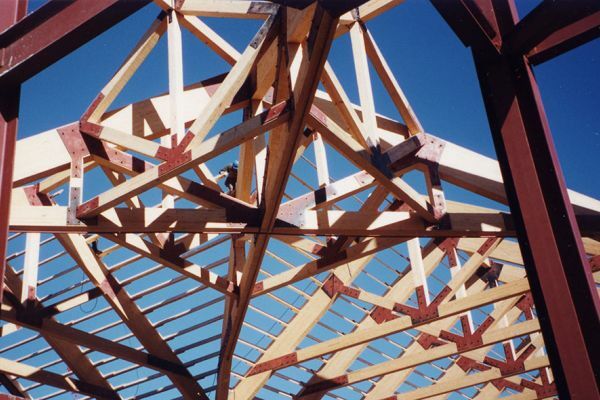 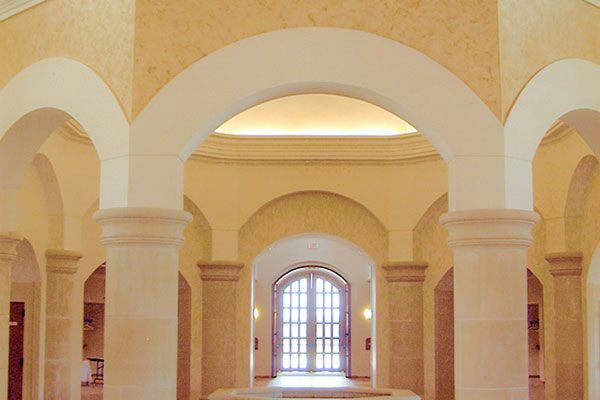 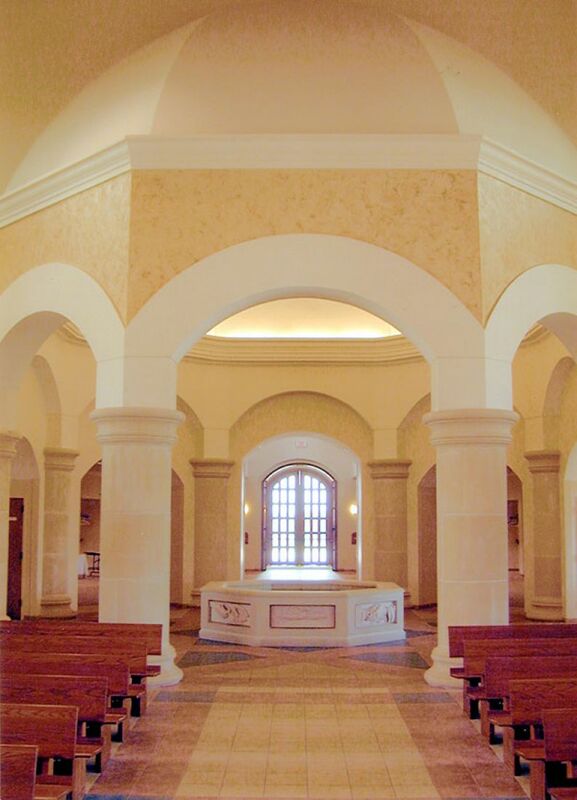 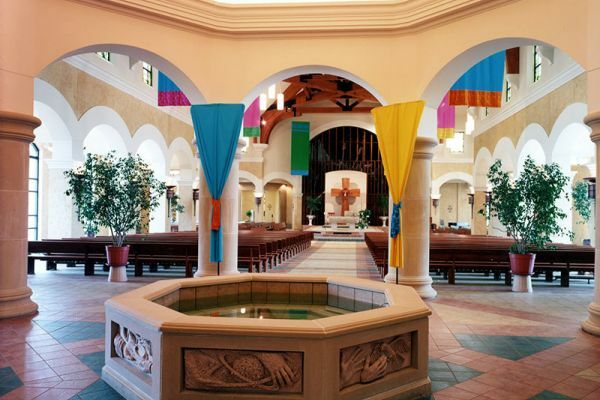 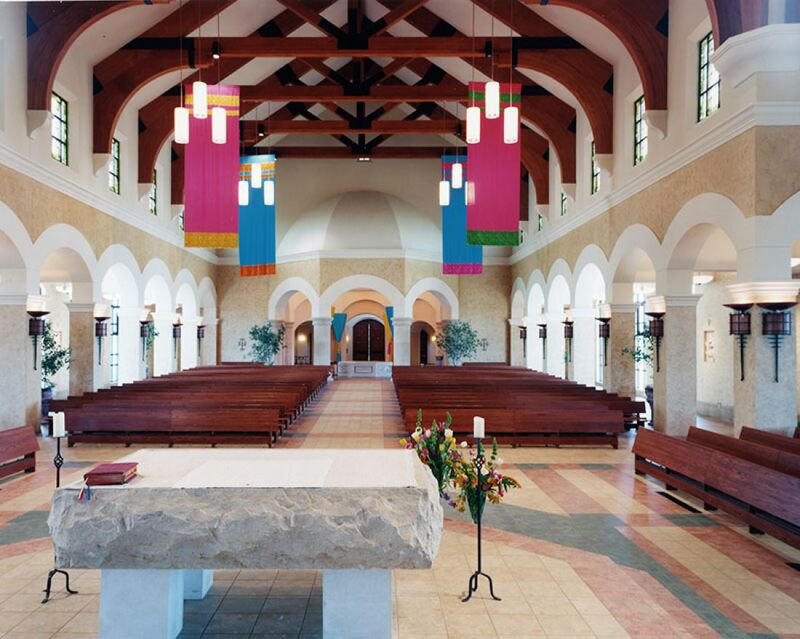 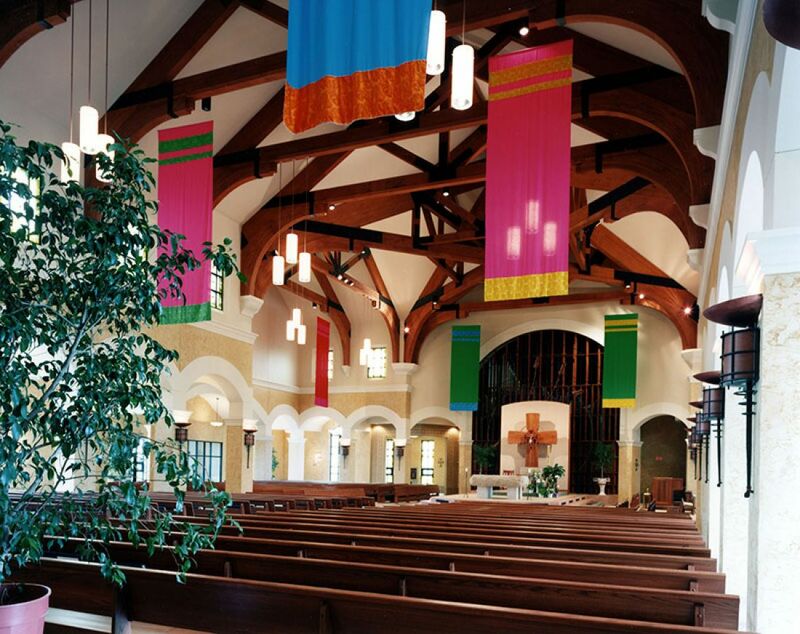 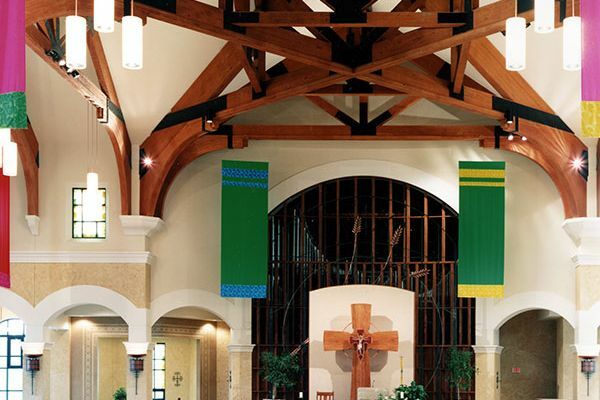 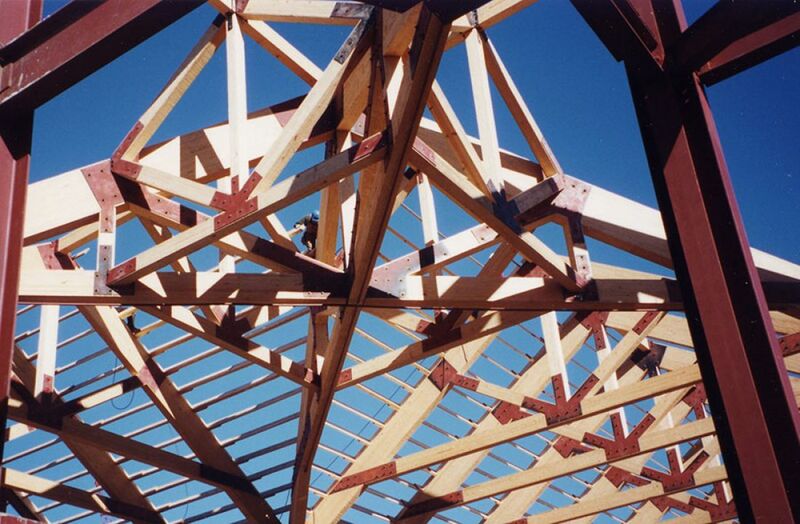 Significant features of the project included glu-lam trusses in the sanctuary and gathering area, a baptismal font, bell tower and accommodations for a pipe organ. 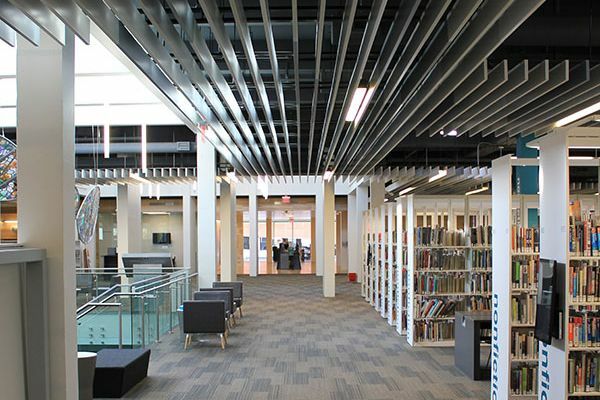 Project is first of three phases. 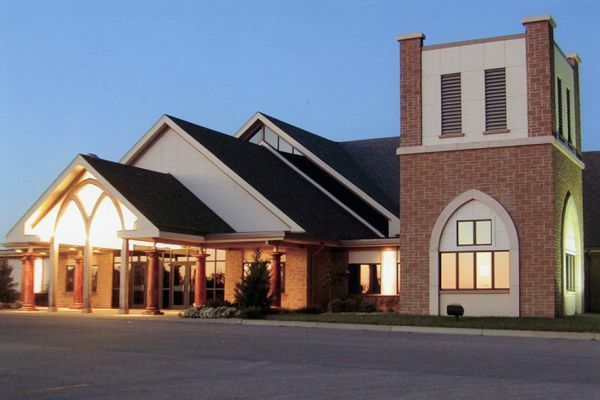 The design build project consists of a 7,795 square foot building containing a multipurpose area for church activities as well as serving as an additional area to hold worship services. 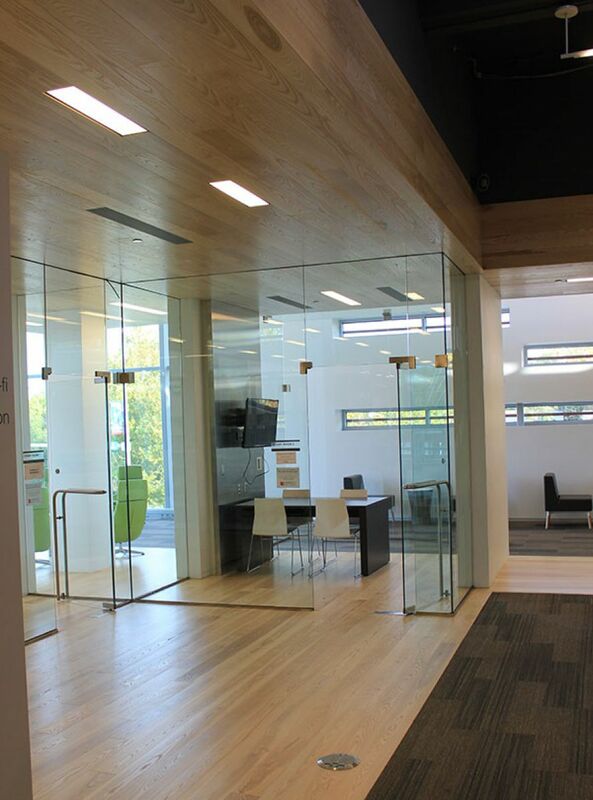 The building also includes a kitchen area and meeting rooms. 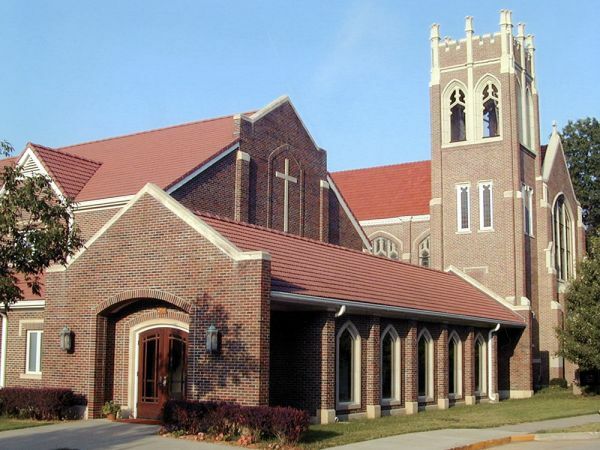 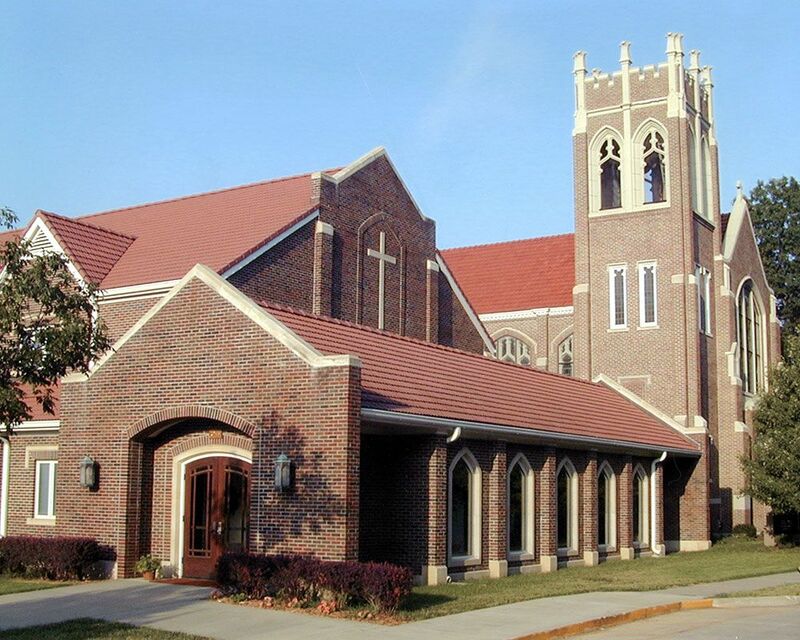 11,000 square foot addition including office space, chapel, elevator, restrooms and multi-purpose space.